Local Learning connects folklorists, artists, and educators across the nation and advocates for the full inclusion of folklife and folk arts in education to transform learning, build intercultural understanding, and create stronger communities. In August 2018, folk artists and teachers from Western New York participated in an intensive two-day Local Learning professional development workshop. Then, seven educators and artists from this workshop were paired in order to bring the skills and lessons learned into two-day mini-residency classroom visits in the fall. A workshop highlighting their successes, models for radically inclusive models of folklore in education, and peer networking activities took place as a follow up at the 2018 Annual Meeting of the American Folklore Society, held in Buffalo, NY. This model of pairing traditional artists and educators for effective work in the k-12 school setting will be repeated in 2019 with a focus on the Rochester and Northern Finger Lakes Region of New York State. The Journal of Folklore and Education, published by Local Learning: the National Network for Folk Arts in Education had a focus on the intersections of folklore and science for its 2018 Journal. The volume included an article highlighting the use of folklore in developing a sense of place and place-based environmental stewardship in Amsterdam, New York. New York Folklore has been awarded one of five new cultural heritage projects that will receive funding from the Communities Connecting Heritage (CCH) Program of World Learning. CCH, sponsored by the U.S. Department of State with funding provided by the U.S. Government and administered by World Learning, empowers youth to protect the cultural heritage of underserved communities around the world. Through virtual and in-person exchanges and exhibitions, the program supports new partnerships between U.S. and international cultural organizations and the communities they serve. CCH specifically helps these communities preserve their tangible and intangible cultural heritage, reinforce positive narratives, and advance cultural heritage through community outreach and public education. Receiving one of five partnership awards, New York Folklore (Schenectady) and Youth of Osh (Kyrgyzstan) have developed a project, “Cultural Bridge” that includes the additional organizational partnership with the Schoharie River Center, a youth development program serving five counties (Schenectady, Montgomery, Otsego, Schoharie, and Albany). Cultural Bridge will challenge up to 30 youth (ages 16-21) to discover Kyrgyz and American cultural heritage by learning about oral history and cultural heritage documentation and contribute to preservation efforts by doing community service, producing media, and installing signage to support the cultural tourism industry. The virtual international exchange between the organizations will commence in February 2019, leading up to the in-person exchanges and public exhibitions throughout the spring and summer of 2019. In 2015, the New York Folklore Society and The William G. Pomeroy Foundation partnered to launch the Legends & Lore™ Marker Grant Program. The signage program is designed to promote cultural tourism and commemorate legends and folklore as an important part of our cultural heritage. 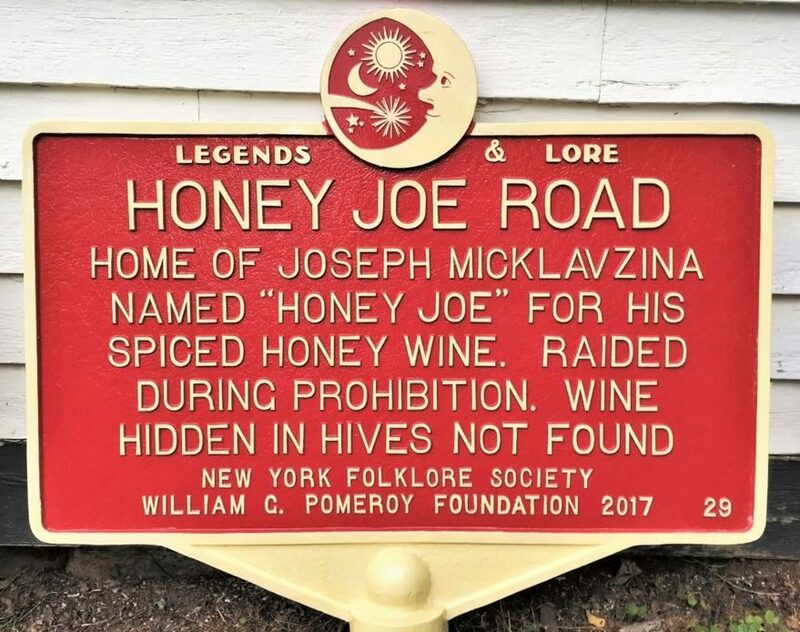 Since the program’s launch, the Pomeroy Foundation, which is a private grant-making foundation based in Syracuse, N.Y., has funded more than 35 Legends & Lore markers in New York to help communities commemorate their own fascinating local stories. New York Folklore serves as the program’s grant evaluator in New York State and provides expert guidance on folklore and legends. View the current locations of Legends & Lore markers by clicking on this map. This ongoing and active partnership has been exceptionally positive for the trajectory of the Legends & Lore grant program; so much so that the Pomeroy Foundation is taking the program nationwide. 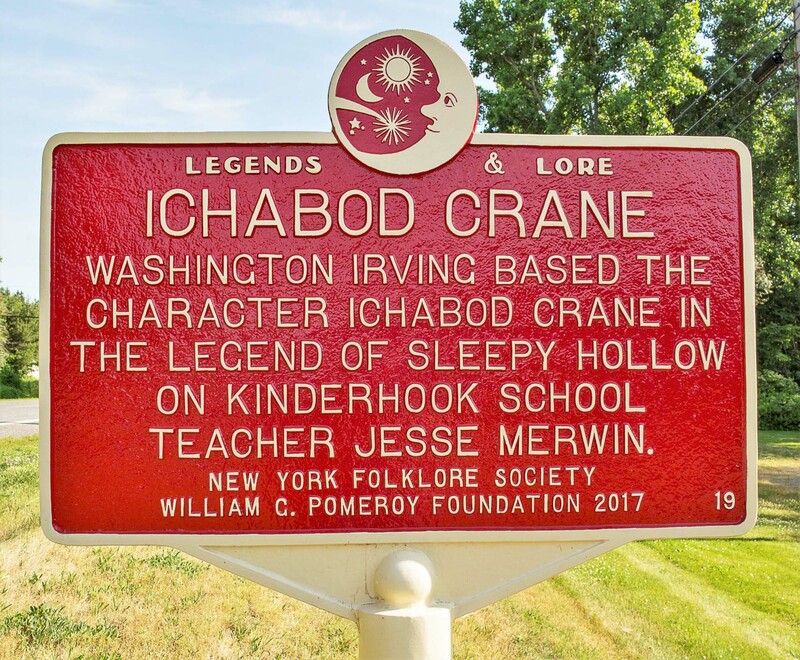 Municipalities and charitable 501(c)(3) organizations in New York are welcome to apply for Legends & Lore grants, which cover the cost of a marker, pole and shipping. Local historical organizations or municipal historians will often apply on behalf of property owners. The program features a trademarked specially designed marker with logo. For information about all of the Foundation’s historic signage programs, grant guidelines, and how to apply, visit: www.wgpfoundation.org or call (315) 913-4060. The William G. Pomeroy Foundation is a private foundation established in 2005 by Bill Pomeroy. The Foundation’s two main initiatives are to diversify the Be the Match Registry by supporting bone marrow drives and helping people celebrate their community’s history through a variety of historic signage grant programs. To date, the Foundation has awarded more than 800 grants for historic signage in New York and beyond.